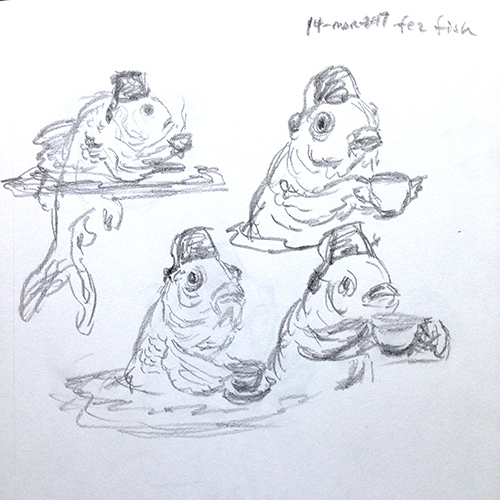 One of my favorite drawings took a few years and several versions until the art finally matched up with my imagination. 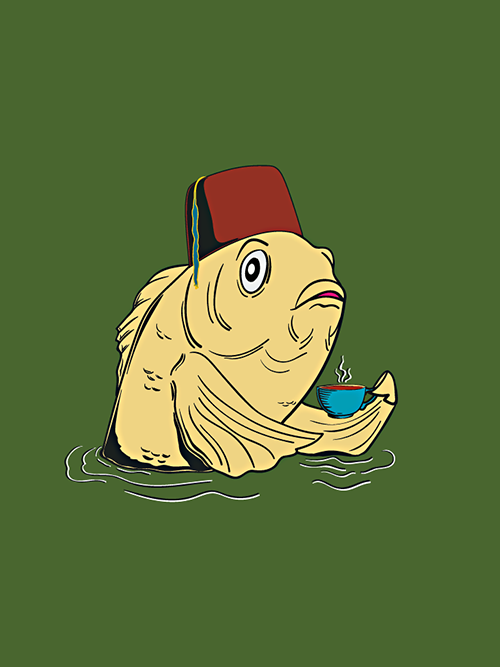 The fez fish began as a 2013 sketch book drawing that I scanned and colored in Photoshop. 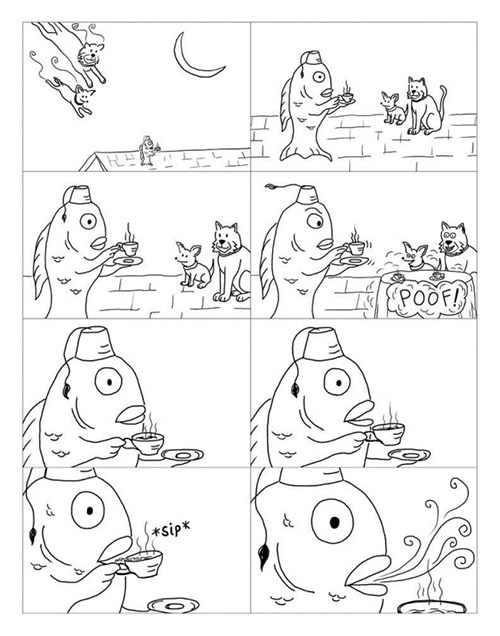 A few months later, the fish appeared in a surreal fantasy comic that I created for a comic book contest. 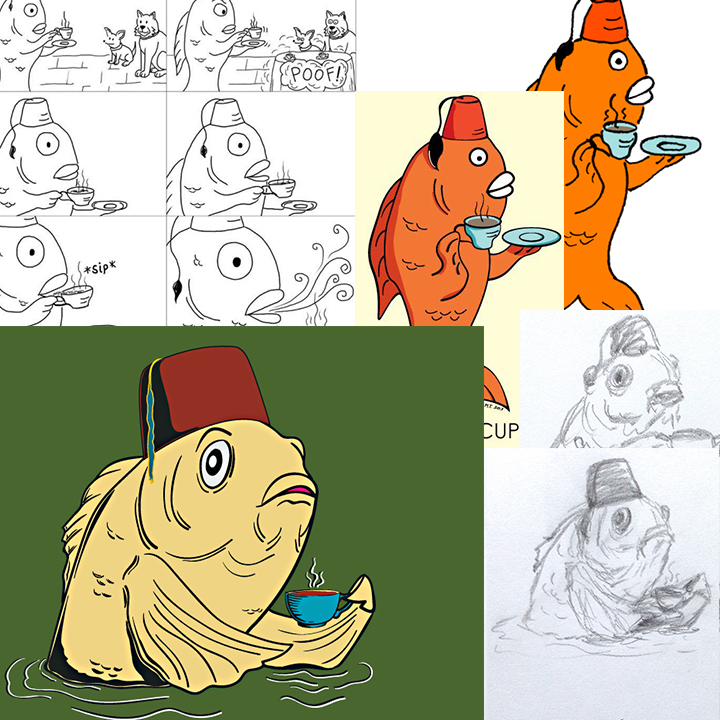 After the contest, I returned to the original sketch book drawing and redrew the fish in Adobe Illustrator. I smoothed out the linework and applied shadows to add depth. 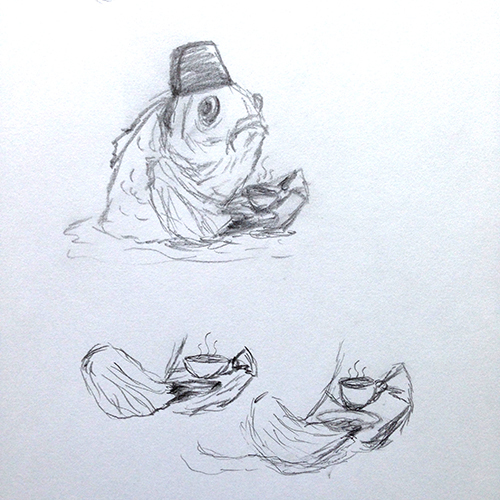 Jumping forward to 2017, I decided to revisit the fez fish in an attempt to better express the Victorian-era mystery of this character. 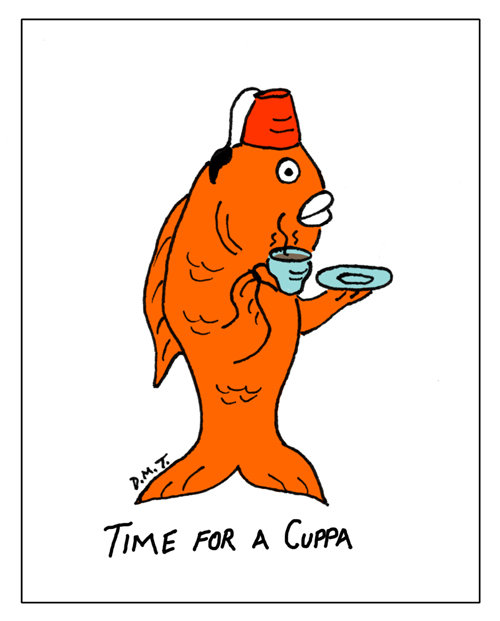 I scanned my sketches and did the final drawing and coloring in Illustrator. Sometimes it takes time and patience to get where you want to go. 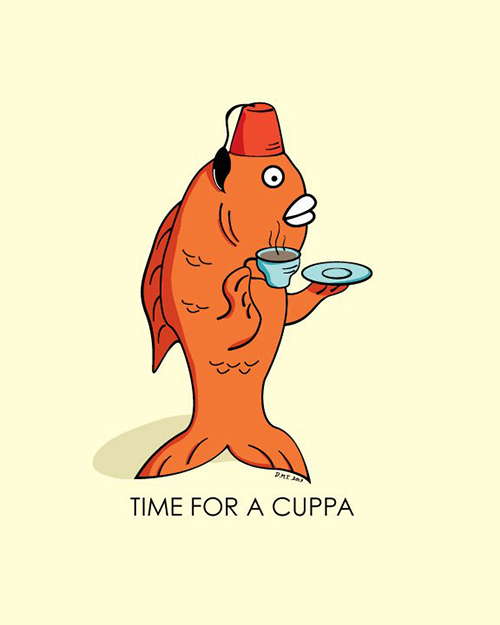 Even when you are travelling through your imagination! Great post Dan! Allows viewers and fans to better understand the work and creative spirit behind your artwork.